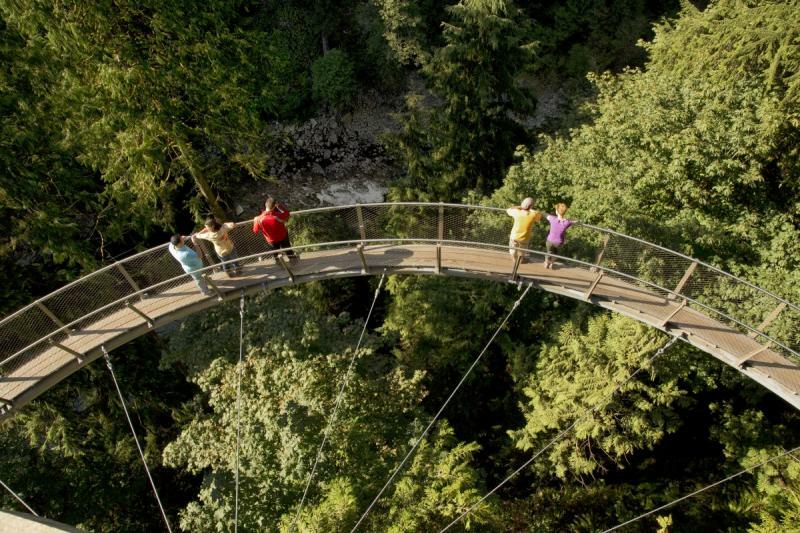 Appreciate nature from three breathtaking perspectives - world famous Capilano Suspension Bridge spanning 137m (450 ft) and 70m (230ft) high above the Capilano River, the seven bridges of Treetops Adventure and the thrilling Cliffwalk, a heart-stopping 700ft journey along the granite cliffside offering panoramic views of the rainforest and canyon below. 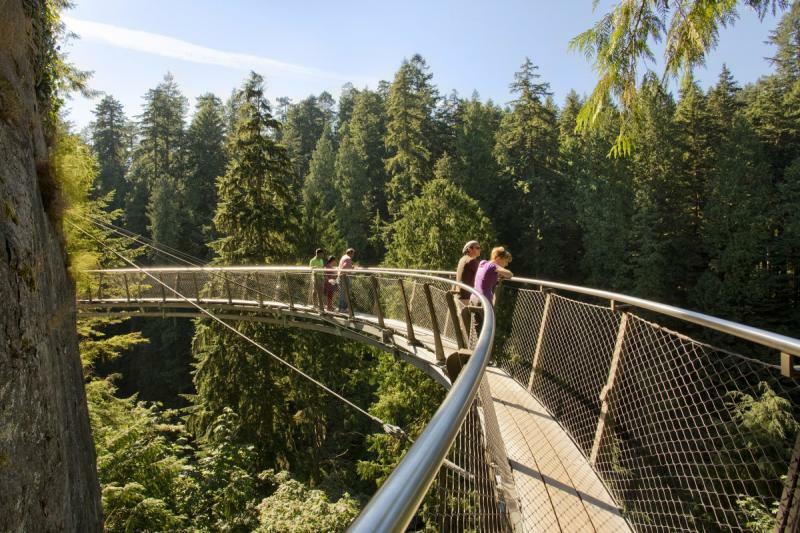 History, culture and nature are presented in unique and thrilling ways with knowledgeable staff and interpretive signage providing as much or as little information as guests want. 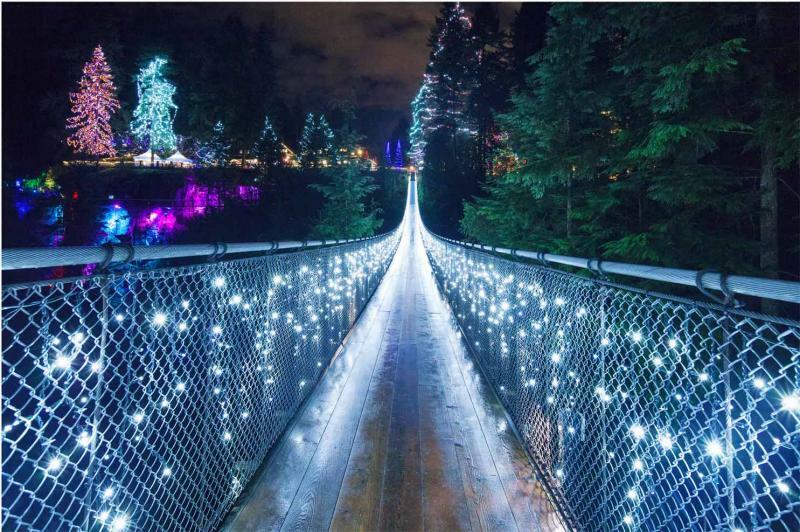 Seasonal events like Raptors Ridge birds of prey June to October and Canyon Lights in December and January enhance this year-round destination. 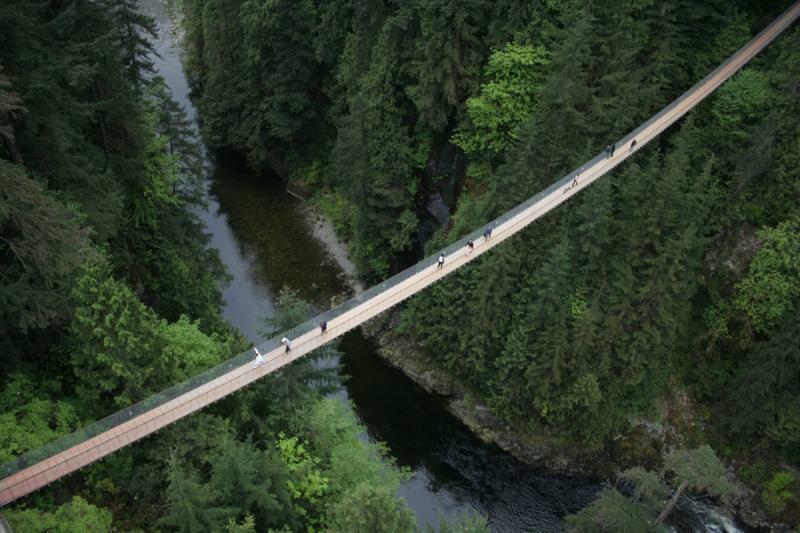 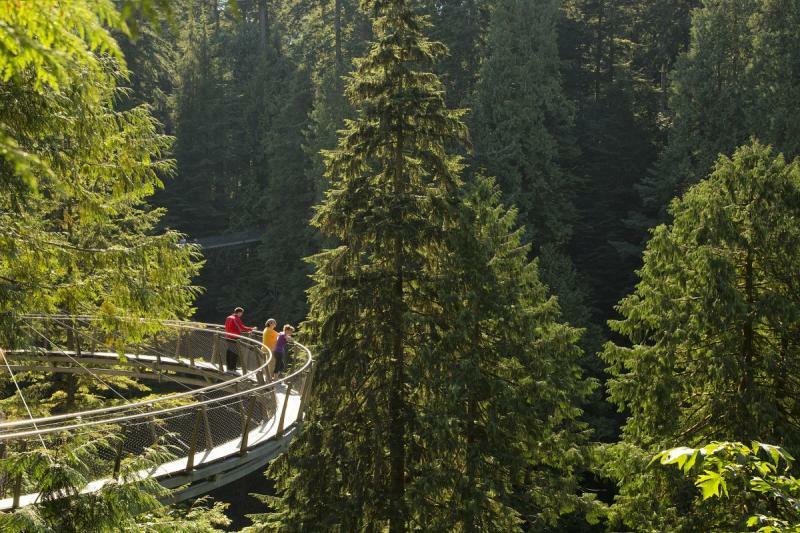 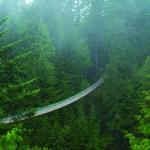 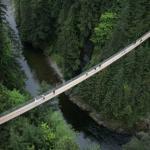 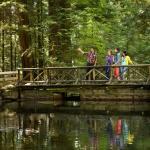 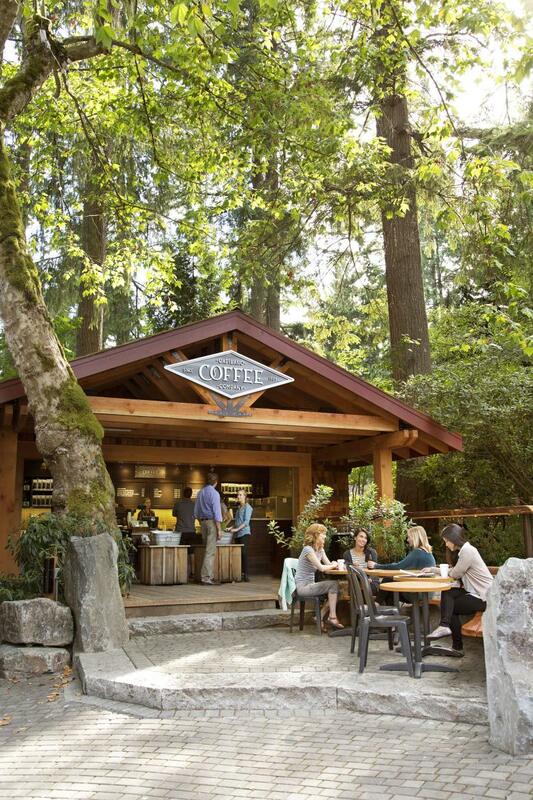 Follow in the footsteps of the millions who have crossed the Capilano Suspension Bridge since 1889. 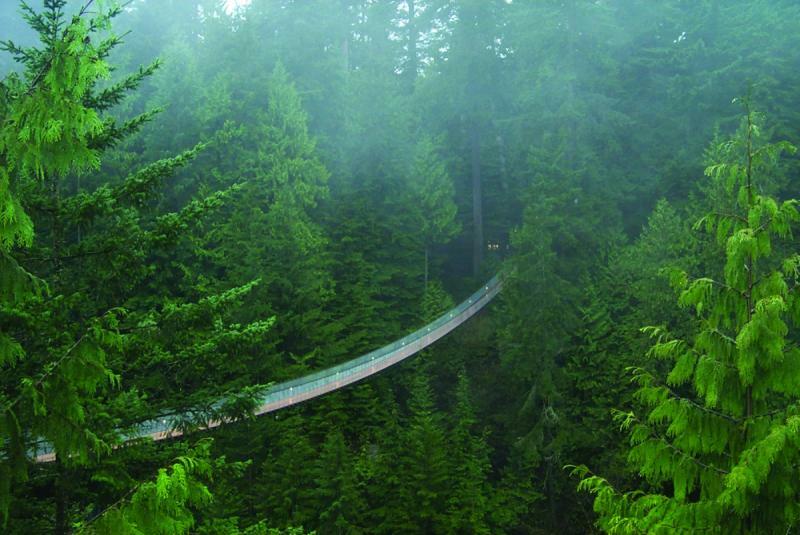 Get a squirrel’s eye view of a West Coast rainforest from high up in the trees of Treetops Adventure. 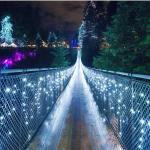 Canyon Lights (Dec and Jan only) be amazed by the hundreds of thousands of lights throughout the park. 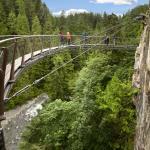 Have you Cliffwalked? 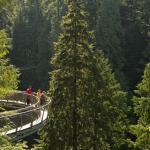 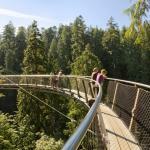 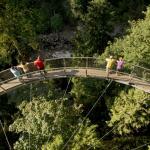 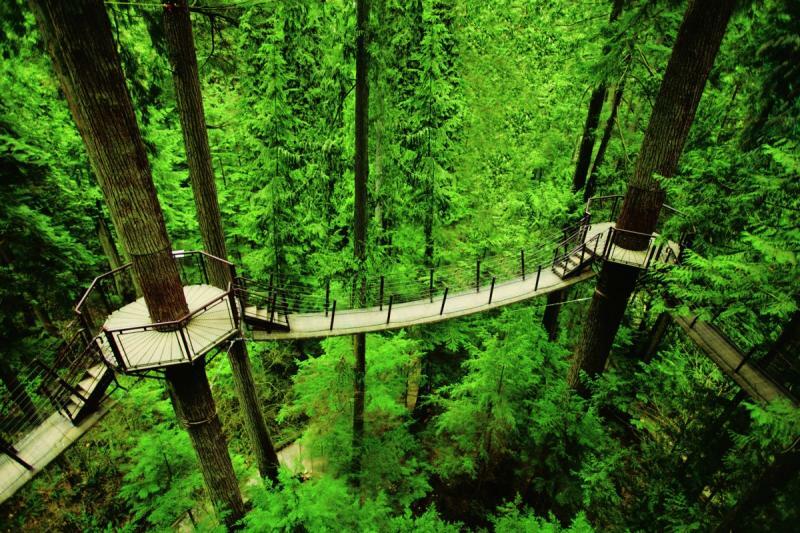 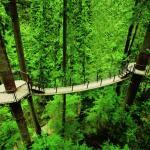 Walk on the edge of a granite cliff face for breathtaking views of the Capilano Canyon on Cliffwalk! 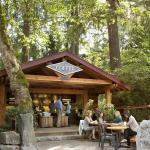 Get a taste of a Capilano classic – With over 25 flavours to choose from, Our oh so popular homemade fudge will surely satisfy your sweet tooth! 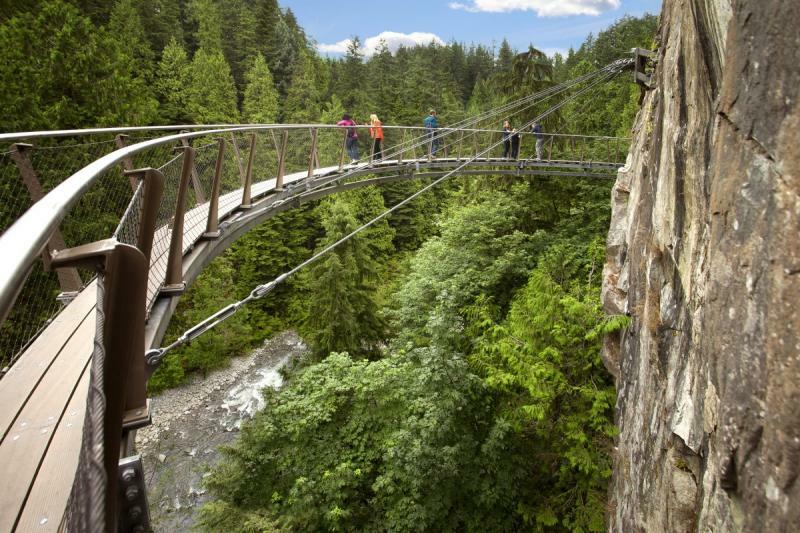 Ten minutes from Downtown Vancouver, 25 minutes Britannia Mine Museum, and 35 minutes to Sea to Sky Gondola along the world famous, and must drive Sea to Sky Highway! 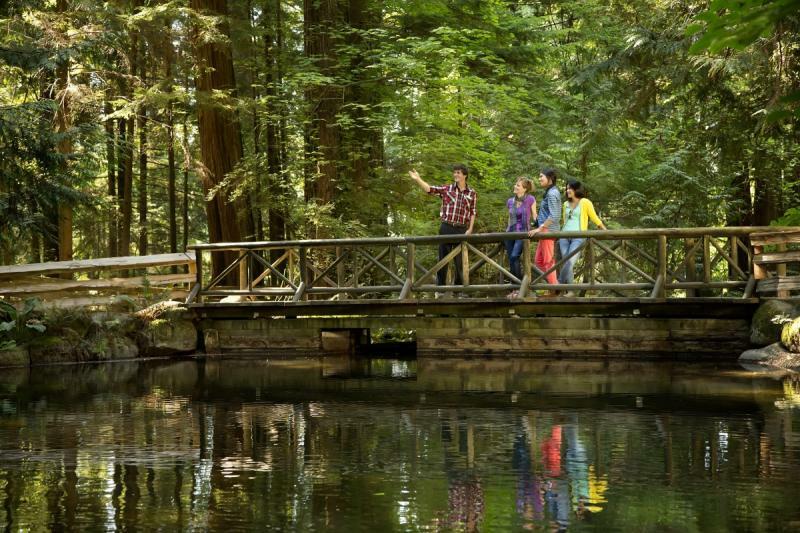 Buy all 3 attractions today and save 25% on all three!